During a cataclysmic anti-climax early on, the omnipotent and soon to be omnipresent villain En Sabah Nur (aka Apocalypse) revels at the sight of his destruction. Awakened after being entombed for thousands of years, disgusted with the inferior human race’s treatment of the planet. Beethoven’s 7th Symphony movement plays over the image; the Allegretto swaying back and forth from tranquil to thunderous. It’s a layered scene begging to be broken down. Classical influences combine with comic storylines to enable real-world repercussions. 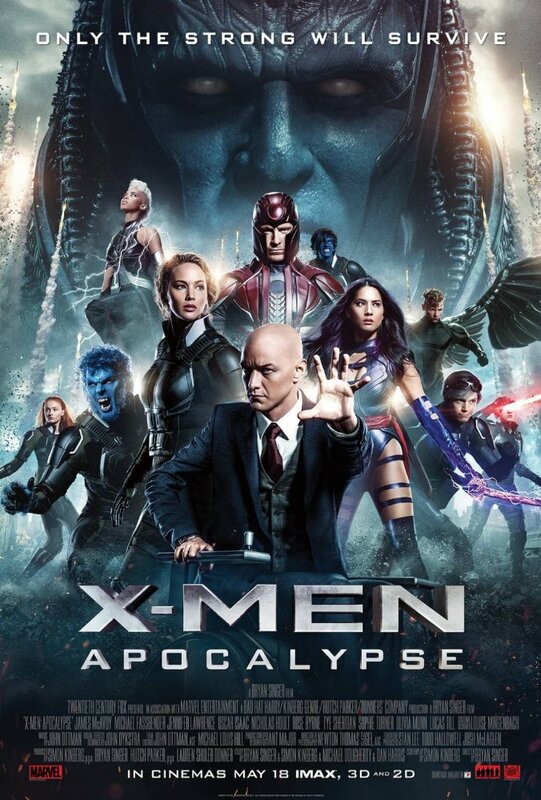 X-Men: Apocalypse still ends up as a jumbled exaggeration though, too big to be true or to fully comprehend. It’s solid entertainment and spectacle stuck in a franchised linchpin. 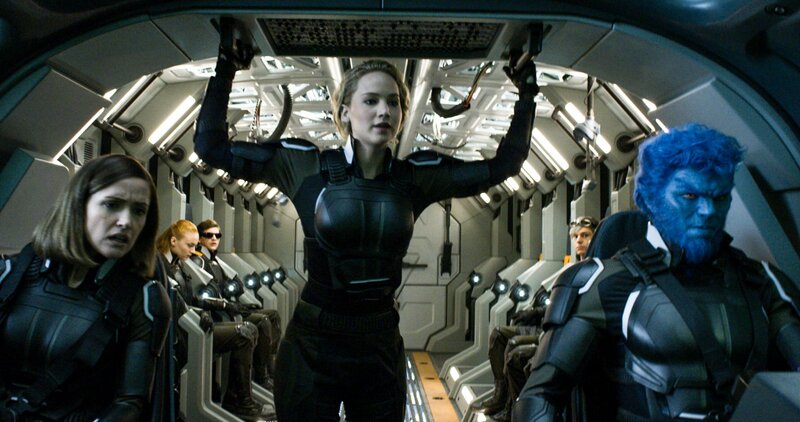 Director Bryan Singer’s X-Men movies are brilliant pieces of fan-fiction filmmaking when glanced at separately. They pass the eye test, and are fun, and sometimes even a little dramatically engaging. The issue is that we’ve been served a 6 course meal out-of-order. In short, X-Men is suffering from the same ill-fated fortune of the time-hopping Terminator saga. The movies feel thorough enough until each is lumped together with the other adjoining entries. Scrambled, chaotic, misguided. Not a lick of it makes sense when lapped from cheek to cheek. My chief issue with series like this one is in their limiting nature. We’ve already seen the endgame, so the excitement of the chase is undercut by answers to questions we don’t even have to ask, allowing for kicked-back laziness rather than upright attention. En Sabah Nur (Oscar Isaac) desires to burn the world and rebuild from its ashes. And while Isaac gives a captivating performance underneath all of the extensive and elaborate make-up, this predated madman defies logic. He’s there from the start and plenty afterwards, serving as a welcoming beacon of death and defeat our heroes must rally against. Apocalypse can evaporate foes to dust, kill them with the flick of a wrist. He gathers mutants – his so-called children – to do his bidding even though he doesn’t require them. Does he want a world dominated by his own bloodline? Or does he want to be revered? Maybe both? However much he’s involved, his intentions are never clear outside of needing to absorb the powers of Professor Xavier (James McAvoy) to control the world’s entire population. The massive stakes don’t align with the intimate details. 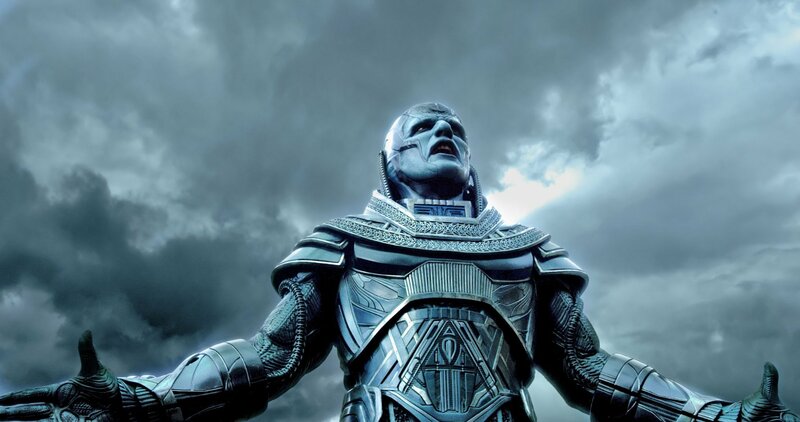 X-Men: Apocalypse has too many pieces on the board to make a strategic set of moves. Magneto (Michael Fassbender) is once more drawn to the dark side, a tired character who consistently gets endless mulligans. Mystique (Jennifer Lawrence) is hailed after her heroic effort in Washington DC, now manning a new team of fledgling mutants. 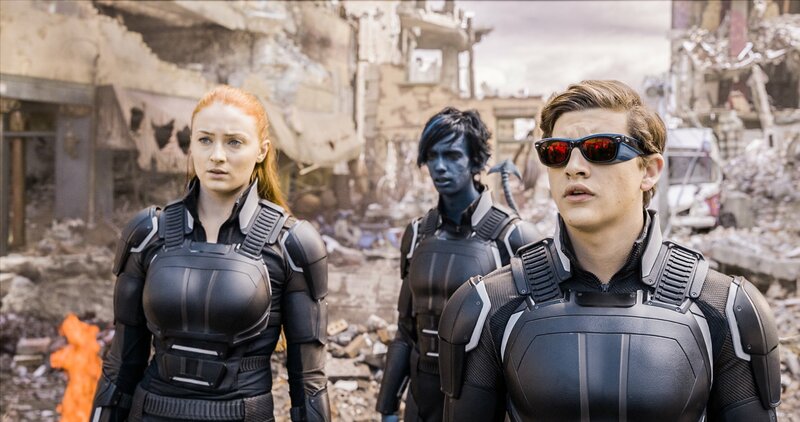 Jean Grey (Sophie Turner), Cyclops (Tye Sheridan), Havok (Lucas Till), Nightcrawler (Kodi Smit-McPhee), and the scene-stealing Quicksilver (Evan Peters who deserves his own movie). X-Men is a story about loners and outcasts, and how teamwork can help to overcome even the deadliest of foes. If only Apocalypse had embraced the weird and the isolation more, or if it took place in a universe with any sense of structure.